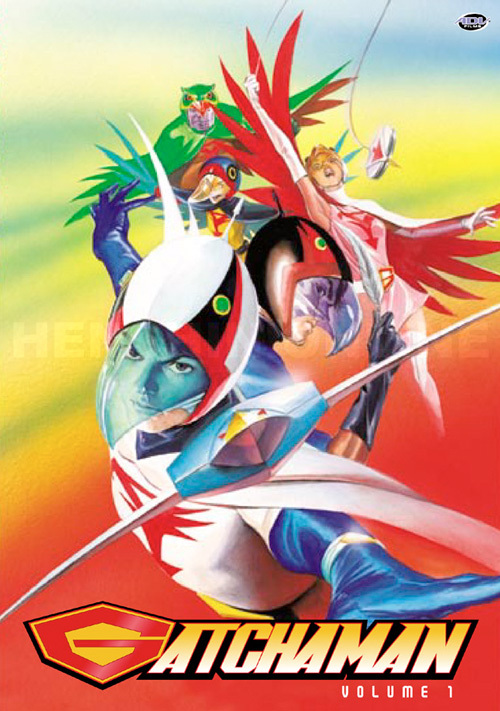 The hero of my all-time favorite cartoon, SCIENCE NINJA TEAM GATCHAMAN, known (in bowdlerized form) as BATTLE OF THE PLANETS or G-FORCE in the US. 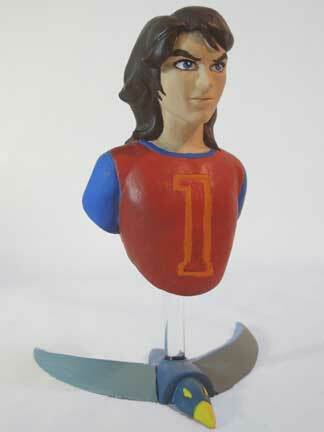 Gatchaman is seen here in his unmasked civilian guise, Ken. 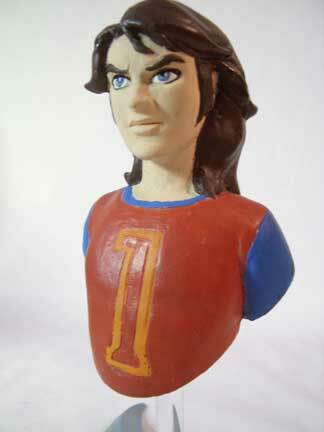 The stand is a replica of Ken’s handy weapon, called a “Sonic Boomerang” in English (in Japan he’d shout “Bird GO!” in English when he threw it). 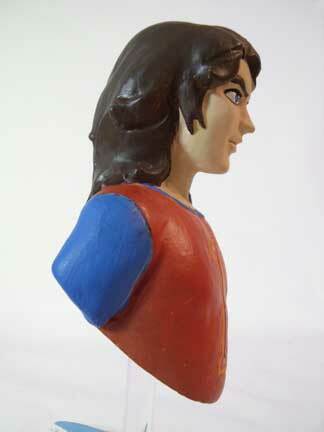 The producers of the 2000s TEEN TITANS cartoon used this same birdlike boomerang design as Robin’s weapon. 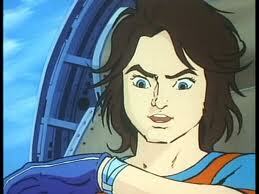 Ken as he appeared on the cartoon. Comic book painter Alex Ross is a fan of the series, and did some nice covers for the DVD sets as well. The big Gs in action.